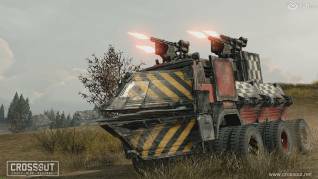 Crossout is definitely one of the most interesting free to play titles in the future to come, so after our experience with the game during this year's Gamescom we wanted to know more. We have interviewed the developers and now we share with you what they answered. Thank you for giving us a showing of Crossout at Gamescom this year, we really enjoyed the game and look forward to seeing the final release. First of all, could you introduce yourself? We are game developers Targem Games, founded in 2002. Our portfolio includes more than 15 games on a variety of platforms — PC, console, mobile devices. Among them, a space free-to-play project Star Conflict (published by Gaijin Entertainment), and Ex Machina», well-known by fans of post-apocalypse. For those who might not be familiar with the game yet can you tell us a little bit about it? 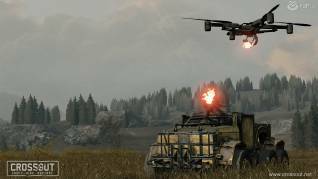 Crossout is a free post-apocalyptic MMO-action game where players can use dozens of parts to assemble armoured vehicles of unique designs, and then use them to fight in multiplayer battles. 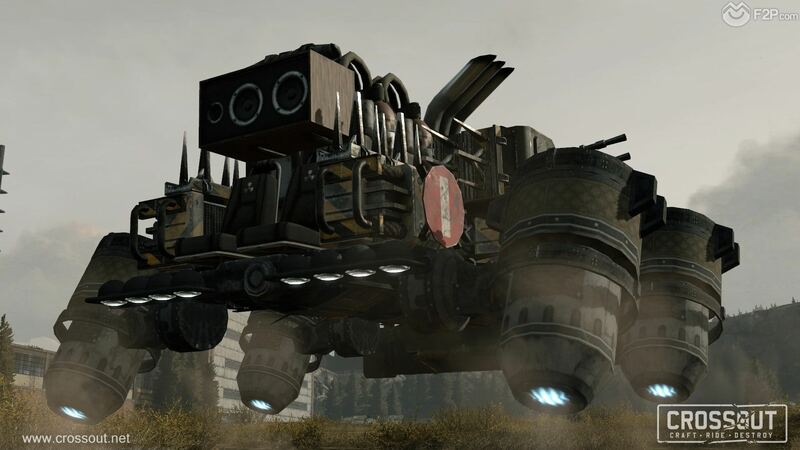 Players have to show not only the skills of precise shooting and teamwork, but also engineering talent to create their ideal combat vehicle. 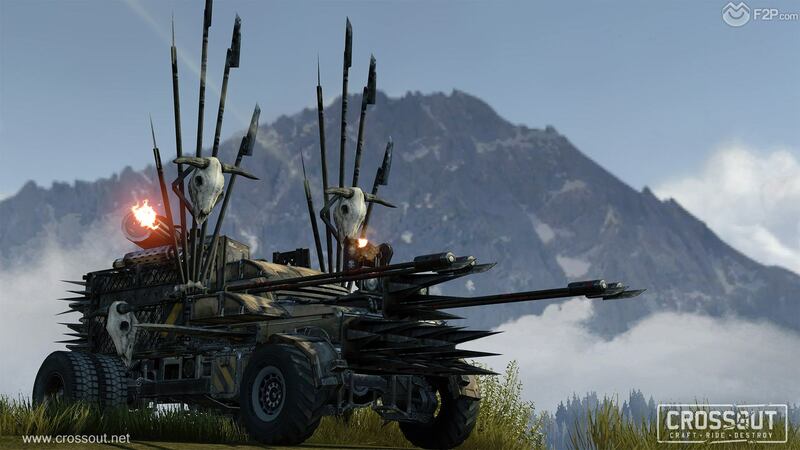 Crossout provides incredible opportunities for self-expression and realization of the most daring design ideas! Even from the same set of parts, players can assemble completely different vehicles, and they will differ not only in appearance but also in performance and physical parameters. One of the primary features is that players can construct their own vehicles in a Mad Max style “build it from the scrap you can find”; how exactly do players unlock/acquire new weapons or components to add to their vehicle? Players get new parts in battles and manufacture them themselves, and they can also trade, i.e. anything you found in the battle or produced in the workshop can be sold at the auction to other players. What type of limitations is there to how many components and/or weapons you can have on your vehicle? There are some restrictions on the installation of weapons. First — the amount of available energy. Each gun requires a certain amount of energy to operate. There are many ways to increase the amount of energy generated by your vehicle — change the cabin to a more powerful one and / or install additional generators and / or batteries. If it's still not enough, the car will not be released from the garage, and if a generator is lost in battle, the weapon will stop working. Energy is also needed for other modules, so you'll have to choose what to spend it on: more firepower, more speed, or cunning tactics. The second limitation is the technological level of the vehicle, which can not be exceeded. Every part increases it by a certain value, the ‘cooler’ the item the higher this value is. Guns are some of the most high-tech components, so you can't install too many of them. You can increase the availability of the technological level (or TEC for short) by constructing the buildings in the camp. Also, each item has mass that affects the handling characteristics of your machine. Some items, such as ammo boxes, are also explosive. So decide for yourself what to put on your vehicle. We briefly saw the “advanced damage model” in action, can you tell us a little more about it and how this will affect players in battle? It's simple: everything that's installed on your vehicle can be shot off: wheels, guns, engines, armour — anything. And when the item falls off, it takes all the positive effects with it. If you shoot off a box of ammunition, not only does it produce a damaging explosion, but it also removes all the unspent ammunition. If you lose a wheel, you will find it much harder to move around. But there is an upside: the fewer the components, the lighter the machine becomes. With a bit of luck or good design skills you can build a vehicle that gets a second wind when it loses most of its parts. How many game modes are available, and are there any you are hoping to add in the future? Currently we have 2 Game modes: Assault and Capture. In Assault each team has a base and the objective is to capture the opponent’s base. And in Capture there is only one base and both team fight to gain control over it. We also plan on adding more game modes later on! How many maps will players get to battle on and are there any unique features to them that change gameplay? At the moment we have four maps, each with its own characteristics. For example, one of the maps has an acid lake, that the drivers probably shouldn't dive into, another one has water bodies that impede rapid movement on some routes. We also plan to add new maps with unique elements! The game is gearing up for Beta, what type of feedback are you looking for and how important are new suggestions and changes from the community at this stage? Are there likely to be any fundamental changes based off the testers opinions? I would like to clarify that we're going to hold a couple of tests before the beta release. We are currently working closely with testers of the game taking into account their comments and suggestions in further development of gameplay. The proposals are very helpful to the development team during formation of new content, since they stimulate critical thinking, as well as imagination. When players talk about the features that they would like to change or see in the game universe, it helps tremendously in the further development of the game. We will continue to watch the mood of the players, and we will listen to their opinion. Feedback will affect the content of future updates. 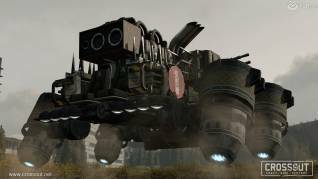 Other games from Targem include Armageddon Riders and BlazeRush, both including driving around vehicles equipped with a mass of weapons; are there any features adopted from either of these games, or lessons learned from them, that we’ll see in Crossout? Don't forget about ExMachina and Insane 2. These are the new project's roots. 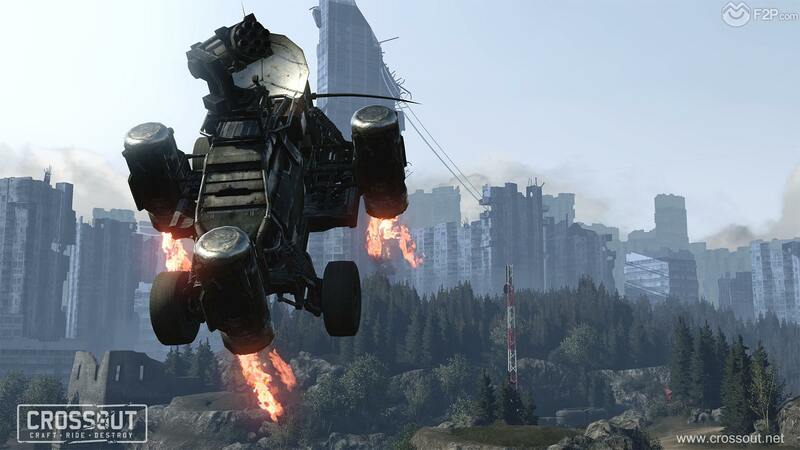 Crossout and ExMachina take place in the same setting! Of course, we have learned from the development experience of these and other projects. Not to mention the extensive experiencewith an engine for racing, huge landscapes and MMO mechanics. 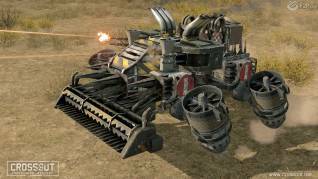 Crossout is being developed on Star Conflict's engine. What has been one of the most challenging aspects to designing and developing Crossout? Development of the project continues, and we're facing lots of interesting challenges along the way. One of the major ones is to maintain balance between graphics quality and freedom given to the player. We want cars to look like cars, not fridges on wheels. Previously, we tried different sizes and shapes of parts, different ways of securing parts. This is how we came up with what we're using today. What type of new content can we be expecting in the future? First of all, we plan linear expansion. More variety of content, more insane gizmos and weapons. We plan to introduce new combat mechanics: mines, flamethrowers and rocket launchers. We will also add things to do in the camp. From quests and protection from raiders, to full-scale military campaigns. We have plans to add PvE and expand it in various ways. As the game is going to be free to play, what kind of monetization will we be likely to see? As for monetization, we still think of and test different options. One of the possibilities is pretty bold. It's market economy. Players sell each other details, blueorints and vehicles on the auction for premium currency, the developer receives a small percentage from each transaction. In any case we have a lot of things to test before the release. All the features discussed in this interview apply for the current state of the game and might be changed on their way to the release. 4 Comments - "Interview with the developers of Crossout"
Where downdload this game ??? The game is still not in open beta you need to register clicking the Play button and wait for one access. Everyone loves what you guys are up too. This kind of clever work and exposure! Keep up the awesome works guys I’ve included you guys to blogroll.